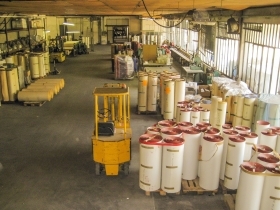 Fiar Abrasives is an historic Italian company specialized in the production of abrasive papers for the market of woodworking , automotive and do it yourself . What distinguishes Fiar Abrasives by competitors is the extraordinary ability to adapt to customer needs. In fact, we are recognized as an ideal partner for private label and customized products according to the needs of material , color and size of the abrasive paper . The thing that will surprise you is the exceptional quality / price ratio .